Block week 24 in your calendar now! 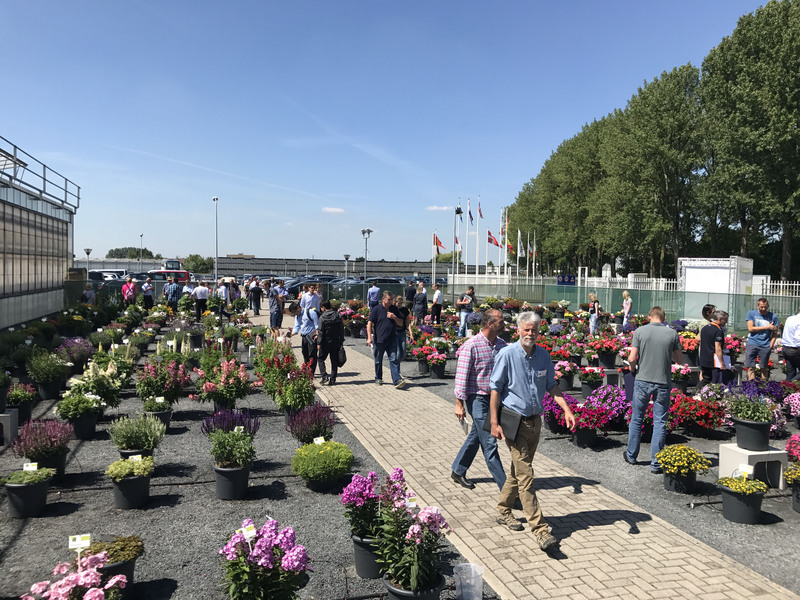 From 12 to 15 June, no less than 60 breeding companies in the Westland (NL), Aalsmeer (NL) and Rheinland Westfalen (DE) areas will open their doors to show their latest assortment in pot and bedding plants to growers, exporters and buyers from across the world. Three new participants will join the FlowerTrials® Organisation in 2018. Their varieties and locations will be included in the FlowerTrials® promotional activities. Gruppo Padana breeds and supplies starting material for growers. The Italian company specialises in the production of young plants from seed and cuttings of a wide range of ornamental pot and bedding plants as well as vegetable plants. Moreover, the company runs its own breeding activities in Primula (Primabella) and Viola and is the exclusive distributor of Lavandula Lavinia (Plantinova) and Argyranthemum Grandaisy (MNP Flowers) for Italy. Founded by the Eskelund family, the Danish Roses Forever breeds hybrid pot roses. The focus of their breeding program, besides production suitability, is on the novelty value, colour, scent, size of the flower, appearance and usability for different series and pot sizes. Gruppo Padana and Roses Forever will exhibit (show their assortment) at MNP Flowers in Aalsmeer. The Westland region also welcomes a new exhibitor. Queen® Genetics is a Danish breeding company internationally known for its extensive range of ethylene tolerant pot and cut flower Kalanchoe. In addition to its latest innovations in this crop, Queen® Genetics will also display new varieties of pot roses, pot Chrysanthemum, Euphorbia milli, pot Aster and Echeveria at the new World Horti Center. Due to the company’s divestment, the participation of the Danish breeder Dalina Genetics has ceased. Furthermore, Cultivaris from Germany will not exhibit in 2018, but will be back in 2019. Following recent changes in the industry landscape, a number of breeders will exhibit at a new location. In the Westland, the brand new World Horti Center in Naaldwijk will host Schoneveld, Queen and Van den Bos Flowerbulbs. Selecta one and VWS will show their assortment at nursery P. Van Geest in Maasland. Prudac and Butterfly Garden move their display to Green 05, making this location a bigger cluster. In the Aalsmeer region, the Breeders Avenue group consisting of Takii, Floranova, ABZ Seed, Evanthia, Hem Genetics/Zaden, Thompson & Morgan and Fleuroselect will move to Takii’s new facilities just across the street (Mijnsherenweg 23, Kudelstaart). In a change to the German region, Geranien Endisch will no longer exhibit in Rheinland Westfalen, but will show its assortment at Florensis in Hendrik-Ido-Ambacht (NL).